Jim Peterson was on a mission to find a show to direct for Carmel High School students that fit his criteria. He found the right mix with “Aladdin and the Wonderful Lamp,” which is set from Feb. 7 to 9 at the school auditorium. With a larger auditorium, Peterson tries to produce a play that will attract children from Carmel. Language is the biggest challenge for senior Megan Goodrich, who plays Princess Adora. Goodrich portrayed Molly, the female lead, in “Peter and the Starcatcher” a year ago. Goodrich and senior Ayden Stewart, who plays her father, the Sultan, are both members of the Ambassadors, a mixed show choir. 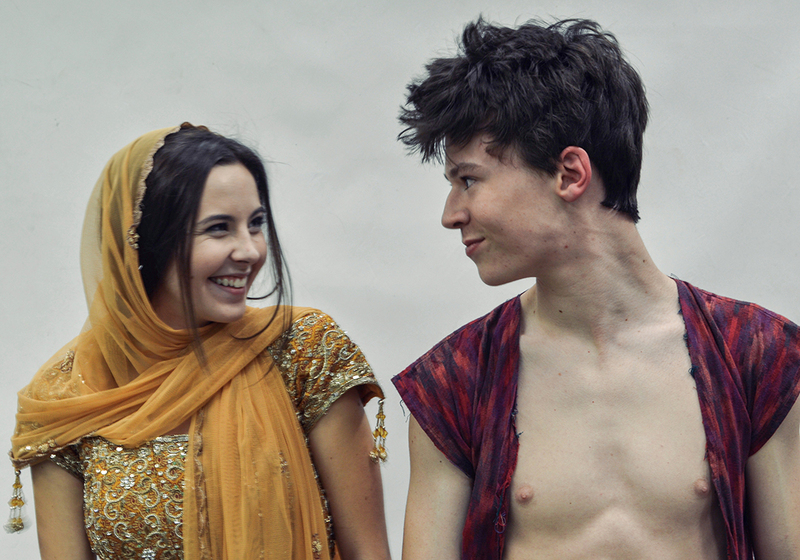 Sophomore Austin Audia plays Aladdin in his first lead role in high school. “This is definitely a lot more dialogue heavy,” Audia said. Junior Maddie Nagel plays Aladdin’s mother. Like Stewart, Nagel said the biggest challenge is perfecting the over-the-top character. The performances will be a 7 p.m. Feb. 7, 8, 9 and 2 p.m. Feb. 9, For tickets, visit ticketracker.com.